Easier to use and less breakable than silica fiber, polymer optical fiber data cables are widely used for short-distance links, less than 100m. The transceivers that are used generally operate at 650 nm. We find these optical cables in robotics or wind turbines, for example. 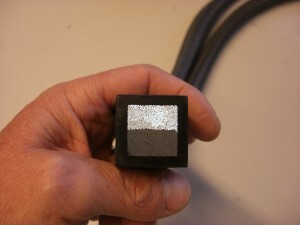 The insertion losses due to the different connectors for the Polymer Optical Fiber are typically between 1.5 and 2 dB while the attenuation is less than 0.2 dB / m, which also allows us to use to design and build remote lighting systems. The use cases are very diverse: from the remote light source used in vehicles for crash tests, to the lighting system for biomedical analysis systems and integrated circuit analysis systems. LUXERI distributes the fiber in coil but also manufactures single-phase / dual-wire cables with SMA, HP, ST, TOSLINK connectors.